starting with p₁ = p₂ = 1. I compute a few time steps, letting the system reach equilibrium. 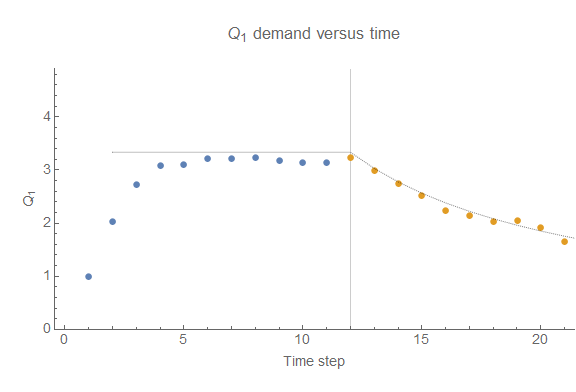 After that, I steadily increase the price p₁ by 0.1 for 10 time steps (until it reaches p₁ = 2). 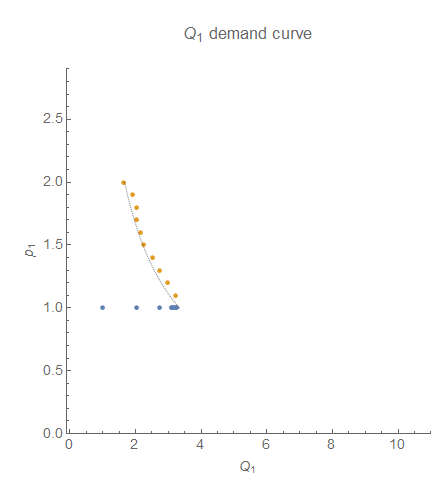 As we can see in the graphs below, this traces out a demand curve. 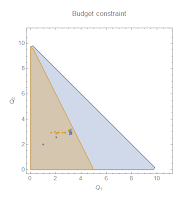 I also show the budget constraint region as well as the time series of quantity demanded. The theoretical solution is shown as a gray dotted line.